To protect your motor, before switching the motor steering direction, make sure firstly to BRAKE motor by setting IN1 - 0 & IN2 - 0, especially when the PWM was set as 100%, full speed. 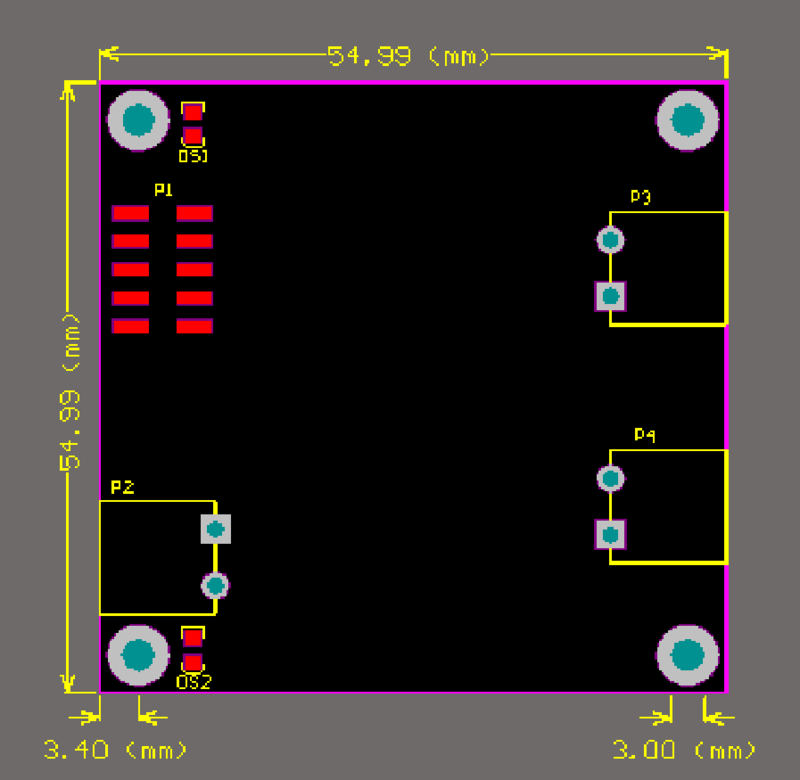 And the suggestion time to brake is >0.1S, depending on your motor. 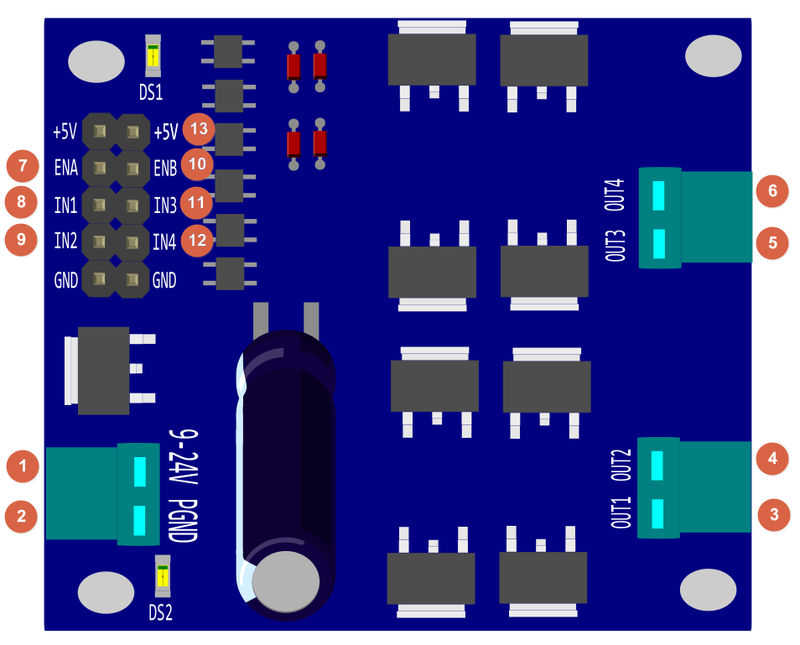 This tutorial will cover how to use PWM to control a motor using the shield. 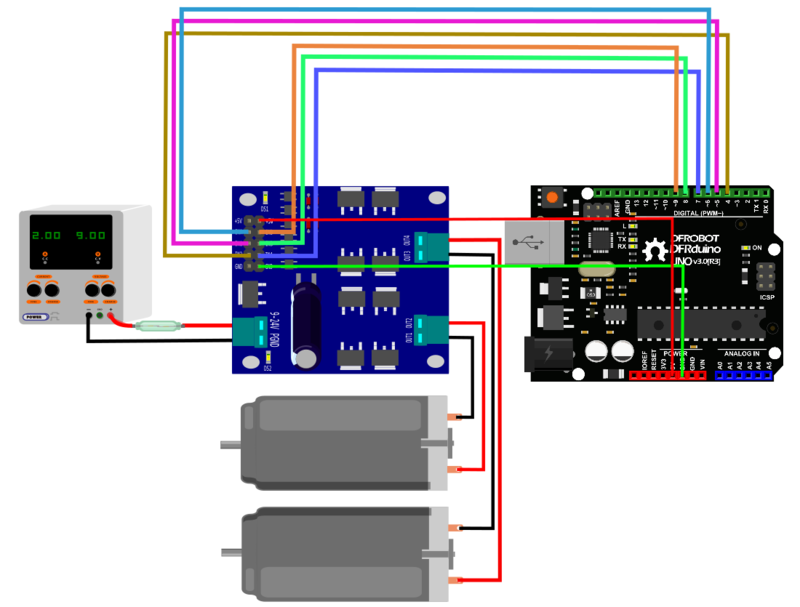 Do the wiring according to the Connection Diagram below, and then upload the sample code below to the Arduino card, here we use a arduino UNO as the controller, you could see your motor run forward for 3 second and then run reversely for another 3 seconds and repeat this behavior then. Facility Safety and the Personal Safety: Please add a fuse@20A between the Power source and this shield. 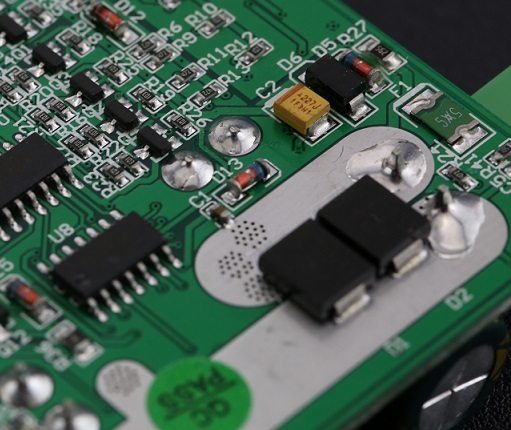 The backside of the driver, as right-hand picture shows, that its conducting layer can be very wide, so you should take some measurements to ensure it won't short-circuit, like applying 1mm layer conductive epoxy or any other similar materials. 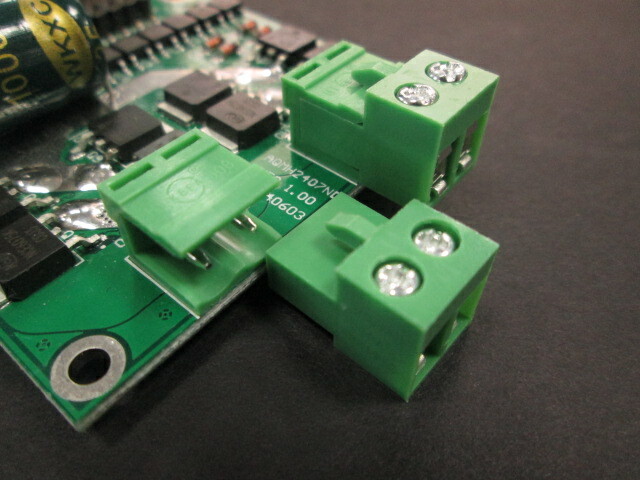 You may find that the connector is designed as pluggable type to adapt with Male or Female wires.